The Catch and Release process often entails federal immigration officials busing border crossers into nearby border cities and dropping them off with the promise that they will show up for their immigration and asylum hearings, sometimes years later. The overwhelming majority of border crossers and illegal aliens are never deported from the country once they are released into the U.S. 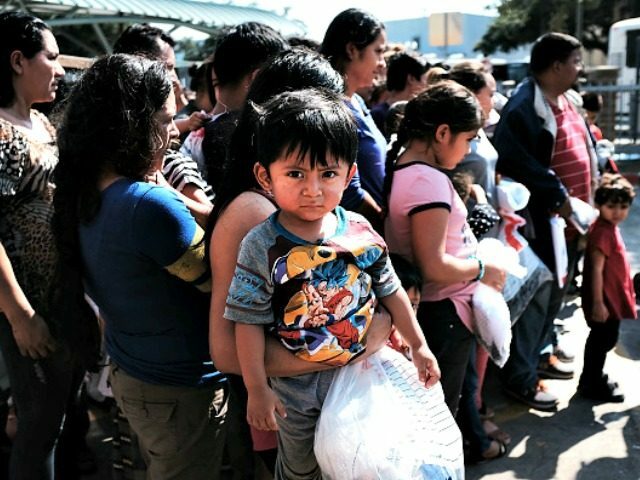 In the last 12 days, DHS released nearly 6,000 border crossers and illegal aliens into the San Antonio area, alone, forcing American communities to absorb the influx of soaring illegal immigration levels at the U.S.-Mexico border. The Immigration and Customs Enforcement (ICE) has been tasked with releasing border crossers and illegal aliens into the interior of the U.S., ICE officials have confirmed, under the direction of DHS Secretary Kirstjen Nielsen and Acting ICE Director Ron Vitiello. The Catch and Release policy has strained ICE resources, forcing fewer arrests of illegal aliens living in the interior of the country in recent months. At current rates, DHS is on track to release about 500,000 border crossers and illegal aliens into the interior of the U.S. by the end of this year. The mass release of border crossers has coincided with a surge of illegal immigration at the southern border, where about one to 1.5 million illegal aliens, in total, could arrive in the U.S. this year at current projections. This entry was posted in Trump and tagged invasion on April 4, 2019 by Bone Fish. Can you connect this to hard data?